This is a very, very good copy of the Outback Steakhouse Caesar salad dressing. You don’t have to make reservations and load up the kids to go out and have this. You can make this secret recipe salad dressing anytime. You can find more Outback Steakhouse Recipes, here at CopyKat.com. Make your own Outback Steakhouse Caesar Salad Dressing at home. Combine all ingredients in a bowl. Beat with an electric mixer for about 1-2 minutes. Cover and chill for several hours. This salad dressing stays fresh for about two weeks. Special thanks to gnvdude for this recipe. Anchovy paste is also in the famous Zaxbys Chicken Sauce. Good to know about Zaxbys. I didn’t think it tasted a lot like outback. Also too runny. I personally worked for Outback Steakhouse for 5 years. I made this dressing daily for 2 1/2 years. This was an oil based dressing and was prepared in a blender. Also the key to this recipe was the fact that real anchovies were used in the recipe among other spices u do not have listed in your recipe. Excellant recipe. Anchovy paste is key. Raves all around. Yum, Yum. Nope, it needs anchovy paste. It gives he dressing the special zip. This is an outstanding recipe. 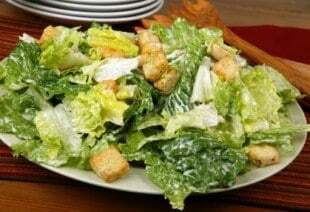 Now we can have Ceasar Salad at home as good as the Outback. What a treat! I omitted the anchovy paste. I tastes better the longer you chill it. You must try this. Don’t forget to put big croutons before you serve it. MMMMMMMMMMMMMM Good! I have read that Worcestershire Sauce is a good substitution for anchovy paste because it contains anchovy paste.